Last Oct. at Star Wars Fan Days I had a jumbo sized post card that I gave out to the fans for free. Â I made 100 cards and they went pretty quick. Â The title of the card was “Uh Oh Oola”. Back in March I was giving away Free Sketch Cards (MAN! Â I should be charging for this stuff!) on the RebelScum forums. 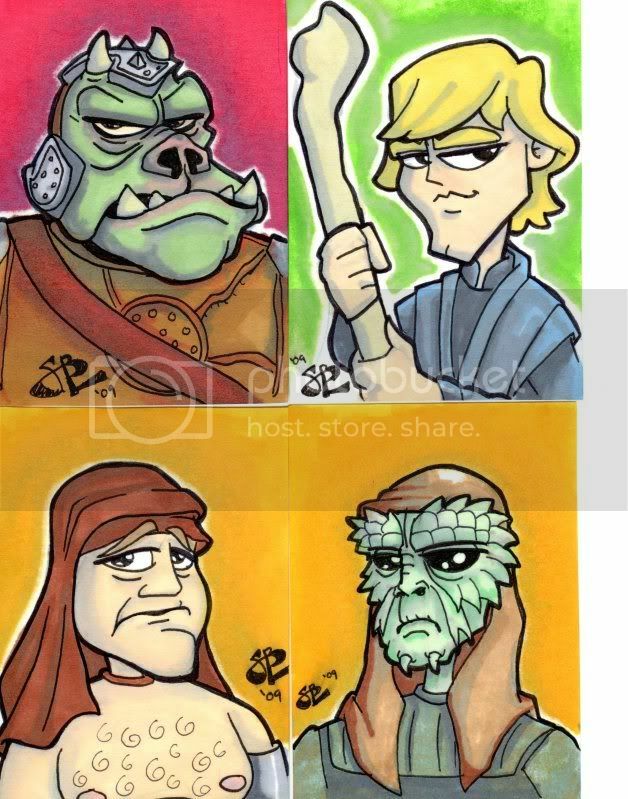 Â One of the winners of the sketch cards requested the Gammorean Guard character from Return of the Jedi, and then went on to commission three more cards. Â It turns out that Brandon had a master plan for all of these pieces to be matted and framed together. Â It looks great! Thanks for the photos of the final project.